The PS1 Warm Up kicked off for the season in Long Island City this past weekend. You can see more of Scott Lynch’s photos in Bedford + Bowery’s Flickr pool. 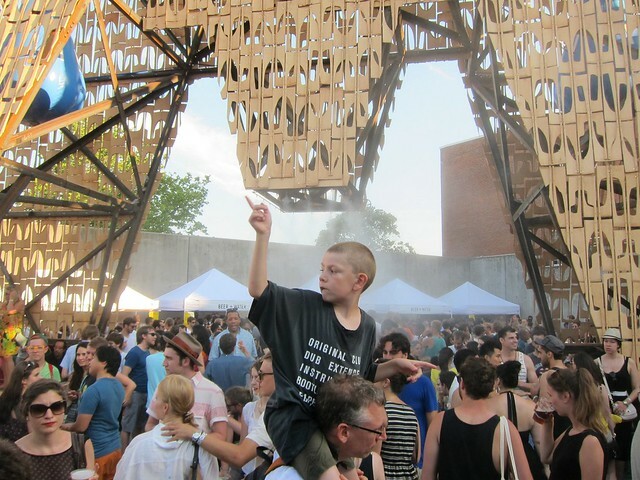 Meanwhile PS1’s VW Dome closed in Rockaway with a disco party. See B + B’s Instagram for that.